I’ve critiqued a few changes in my last entry, but I think I will go for a full rundown. Uni Watch breaks them down in the above link, so I will comment on each story. Let me first say that I hate the idea of Christmas uniforms. I think the money grab is really unnecessary. But people eat it up. I liked the old look of just a snowflake. But overhauling it is not something I dig. But since they are going to do it, at least this year’s look doesn’t offend me. Logo in front, nameplate with first name under number on back. The big logo in front isn’t all that bad. It’s not great, but at least it’s not some unnecessary loud set like before. What I don’t like is the decision to put the player’s first name on a nameplate below the number. Unnecessary. Stupid. Unless you share the same name with a player, then maybe. I already addressed this in a previous post. I think it’s unnecessary. Half the league won’t be able to have fun in it. 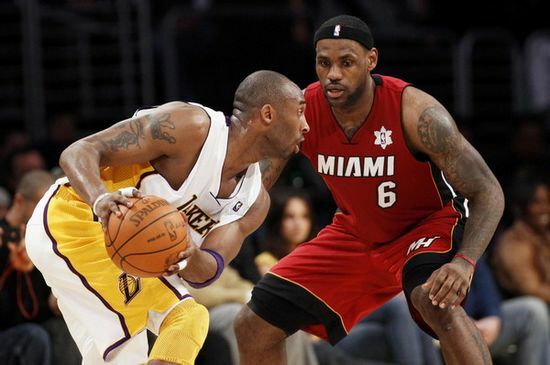 Plus, it’s so hard to differentiate how many titles each team has unless you look real close. It will clash with some uniforms and that’s not good. And according to Uni Watch, there will be history inconsistencies. The Thunder don’t have one even though their former Sonics team did win one. I am OK with this. Not necessary, but it’s OK. I like the logo, so seeing it is fine. Although their Hawk head logo was a nice one too. I like the Pacers and Raptors throwbacks. Even the Kings one is nice too. Very good. That’s a double whammy. Yuck! The colors are great but it’s not needed. No quiero. Stop adding LOS and EL to things. TBD. I think that these have potential. But it will be very unnecessary. I like Portland’s Rip City but wasn’t too keen on Motor City for Detroit. Not necessary but might work for some teams. I do think the Kings’ new road look is nice. 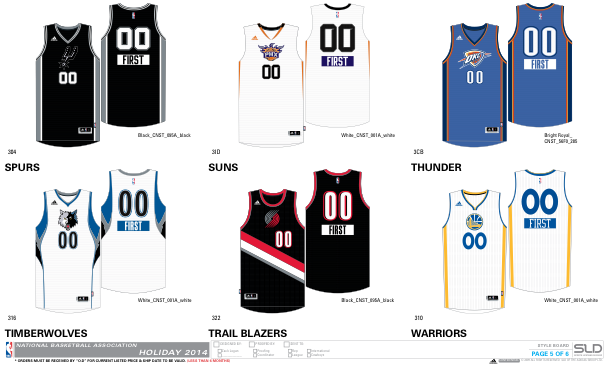 This entry was posted in NBA, New Sets, Uniforms & Design and tagged Adidas, Money Grab. Bookmark the permalink.